A sure way to stand out at any occasion is with a fresh white-on-white look, but finding these crisp, clean pieces can be somewhat of a challenge. So naturally, we turned to one of our favorite sources for style inspo, French It girls, for help. And it turns out French girls love an all-white look, delivering some inspiring ensembles that will instantly make you want to race to your nearest retailer. The thing to remember when it comes to these chic, eye-catching ensembles is that it's important not to overthink it. These street style pros let loose with the concept of this look and simply pick out clothes they can breathe in. They also pay attention to details that elevate each piece, so you should too. Instead of grabbing an average shirtdress, opt for one with lace. 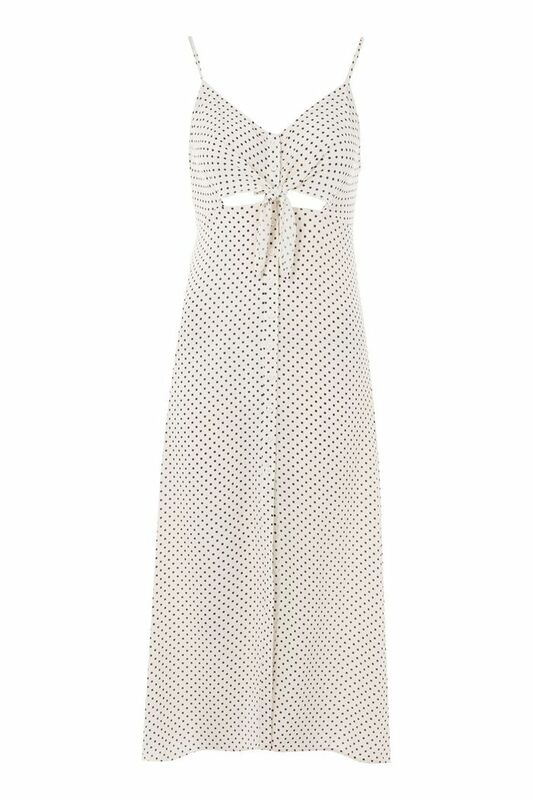 Oh, and don't rule out patterns either; a classic polka-dot print takes any white dress to the next level. If you think you're ready, get inspired and try out some of the outfits below for yourself. We guarantee you'll be a knockout at your next soirée. Don't be afraid of some polka-dot action. The lace detailing really elevates this look. This classic silhouette is a summer essential. Feel free to show off some skin. Next, find out the French-girl detail you've probably never noticed.